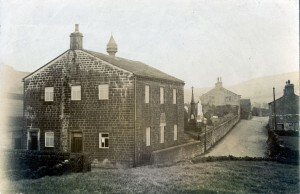 On 25th April 1836 it was reported that a Baptist ‘Sabbath School’ had commenced in the hamlet of Horkinstone, Leeming, Oxenhope, with 124 scholars enrolling on the first day. The construction of the new school began a month later, to be completed in 1837, with a small burial ground adjacent. Records show that a ‘church’ was formed in 1849, with the building then able to be used for formal services. 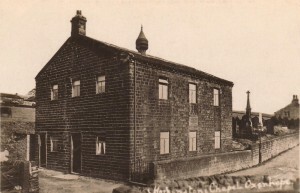 In 1863 a new day School was built further down Denholme Road at Leeming with the support of the British and Foreign School Society. 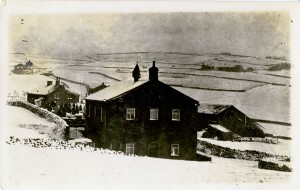 The school was let to the Haworth School Board in 1879, sold to them in 1910 and at some stage was taken over by the Keighley Education authority. The building closed as a school in 1957 but was bought by the Sawood Methodists to be used as a chapel and Sunday School. The Methodist Society disbanded in 1997 and the building is now a private residence. The chapel building was declared unsafe in 1924 and the last service was held on 15th May 1927. 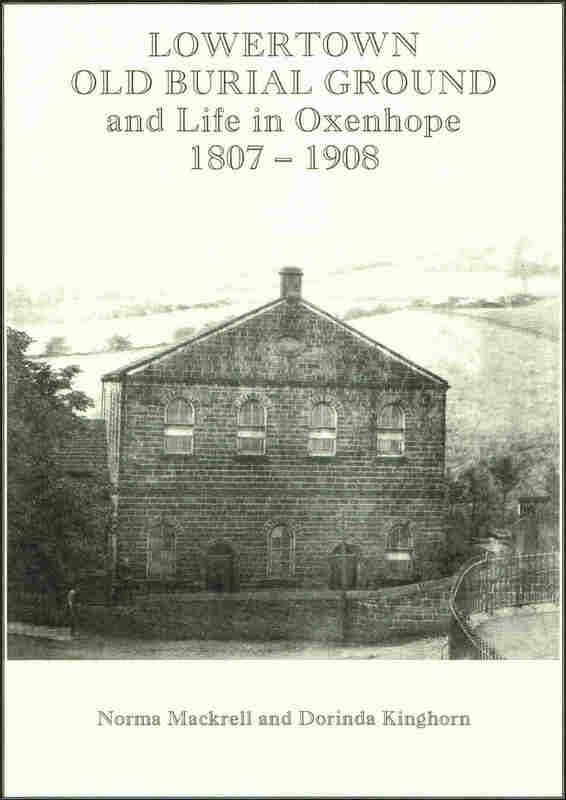 A new chapel was opened on 21st May 1927 further down Denholme Road under the name of Oxenhope Baptist Chapel. The cost of the new chapel including furnishings was circa £3,600. The Keighley News report of the chapel centenary on 25th April 1936 says that the old chapel was demolished about ten years previously and that some of the stone was used in building the new chapel and school. Horkinstone Baptist Burial Ground remained in use until the early 1950s and is situated on the left of Denholme Road at the junction with Blackmoor Road. The burial ground lies in open countryside near to two farms and three cottages. 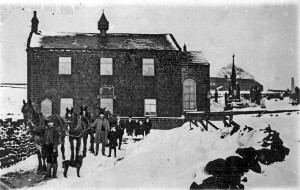 For the Centenary of Sunday Schools’ celebrations in 1880 Horkinstone Baptist Sunday School is listed as having 120 scholars and 30 teachers, giving some indication of the population and community that it once served. The burial ground has many large memorials, with some exceptionally fine examples of stone carving. Names of those buried there include Aspinall, Atkinson, Bancroft, Binns, Booth, Cooke, Crabtree, Earnshaw, Feather, Greenwood, Heaton, Helliwell, Hey, Hodges, Holmes, Howarth, Ingham, Kershaw, Kitchen, Moore, Murgatroyd, Normington, Pickles, Proctor, Ratcliffe, Rushton, Rushworth, Shackleton, Sharp, Stansfield, Sunderland, Tatham, Waddington, Wade, Whitaker, and Wright. The Trust is currently working to unearth and restore all the memorials, some of which have become buried and overgrown. It is our intention to publish a book similar to that for Lowertown in the near future.